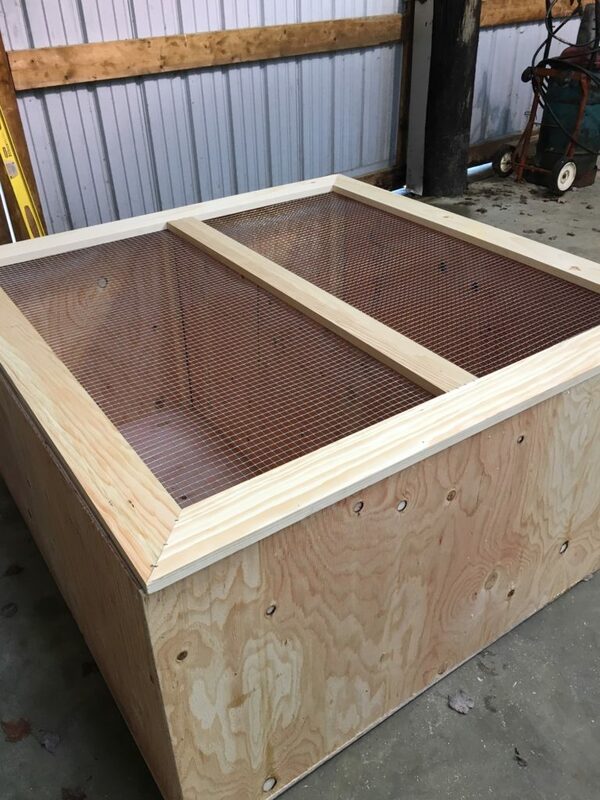 If We Can Build a Chicken Brooder, So Can You! Okay folks, using power tools to build something can be a little intimidating for those of us without that skill set. But like I said before – aspiring farmers and homesteaders will need to learn a whole new set of skills in order to be successful. And just because it seems difficult, doesn’t mean that you shouldn’t try. After all hard work brings huge rewards. 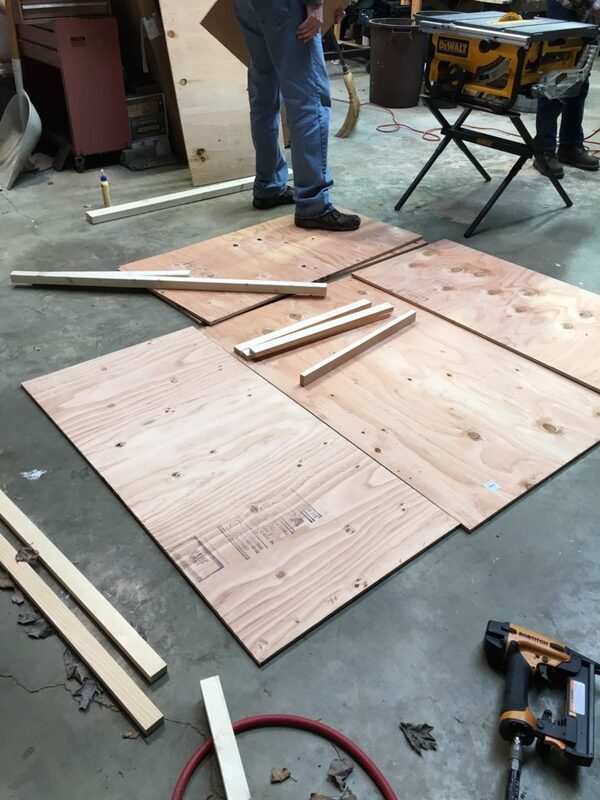 In our case, we spent an afternoon last weekend and built the chicken brooder box. We’ll need this when the chicks arrive in April. I am by no means an expert in building. I watched several YouTube videos on how to build a chicken brooder before starting ours but nothing can compare with real experience. Luck for me, my husband is pretty handy with tools so we just got out there and gave it a shot. Wouldn’t it be great if kids could learn some of these useful farm skills when they’re young? 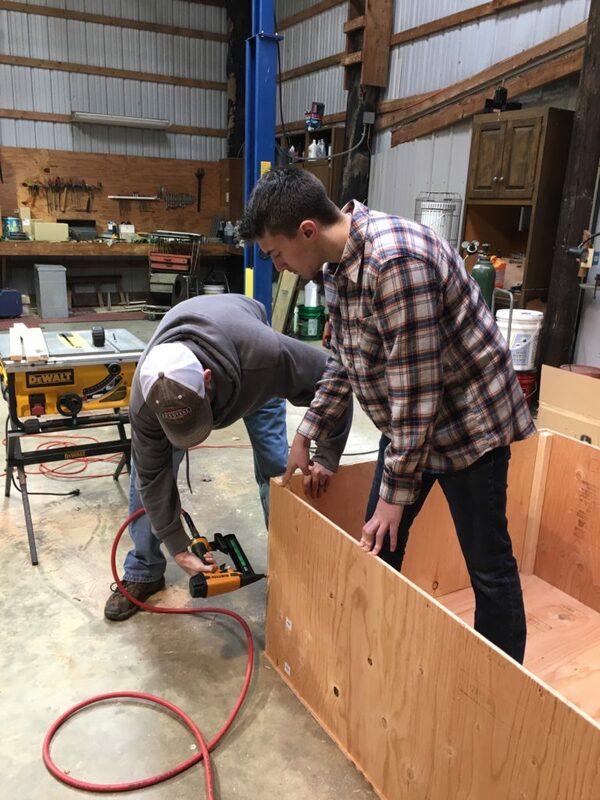 Last weekend, our children learned about safety around power tools, how to properly use a table saw and lots of other cool stuff. They also learned some important life skills (if they were paying attention). Like how to listen to and weigh all opinions to solve a problem. And when differing opinions arose, how to respectfully resolve conflict. In our case, we usually deferred to the person with the most building experience, my husband. But we all had the chance to provide input. Even though I had a design on paper, we still ended up redoing the first corner more than once. Give yourself some latitude to make mistakes and realize that all of this is a learning experience. At the end of the day, be proud of what you accomplished, even if you learned a bunch of “what-not-to-dos”. Try not to fall into the comparison trap! Be proud of yourself for attempting the project and for the knowledge and skills that you gained in the process. And remember that everyone starts somewhere – nobody is born an expert in anything. As for me, I feel a little more relieved that we’ll be ready for the chicks when they arrive in April. And more importantly, I have proven to myself that I can build a chicken brooder. I hope this one lasts us for a while but if I have to replace it, no problem. ← Spring is Coming – Time to Plant Seeds!